Exclusive Garage Door Service knows any garage door will endure regular wear and tear and might experience accidents that can damage or shorten the life span of the door. 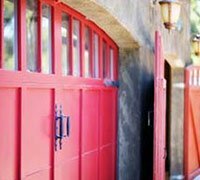 We recommend installing garage doors that are made to withstand heavy weight from vehicles, machinery and other objects that could inadvertently come in contact with your door. That’s why we are proud to offer a wide assortment of doors that will stand the test of time for your home or business. Every door we offer provides the security and design to meet your needs. And they look good too. We have the garage door for you, no matter you are looking for. You can choose from trusted brands, whether you want a modern state-of-the art garage door, a tough industrial door, or even roll-up doors. We’ll help you select the doors that fit your home or business needs and match the style you have in mind. You might also consider insulated doors to protect the contents of your garage and help you manage the temperature. Our insulated doors are made to efficiently defend your important belongings against even extreme levels of heat and cold. They make the garage more comfortable to be in, and the insulation provides a barrier to noise, heat, and cold. This can result in a reduction in your energy bills. Every door we sell is carefully designed for a smooth operation. They are durable, made of the finest materials, and built to last. Exclusive Garage Door Service provides homeowners and business owners with top-of-line garage doors, installed by our outstanding crew of dedicated service providers in Indianapolis, IN. We proudly offer a wide assortment of garage door brands and provide all the critical parts and parts and accessories. When you're ready for to upgrade your garage door, Exclusive Garage Door Service should be your starting point and we’ll see you through completion. 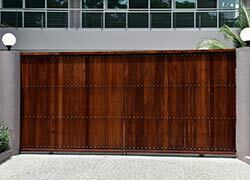 Our team of garage door experts will work alongside you to choose the perfect garage door. We take into consideration your style, your security needs, and your budget to make sure your final selection is just right.